Many films have been made about the Kennedys or those related to them, most recently being Pablo Larrain’s beautiful film Jackie featuring an Oscar worthy performance by Natalie Portman. 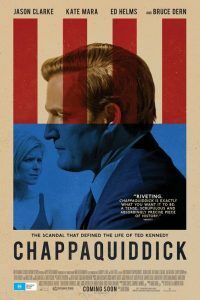 While The Painted Veil director John Curran’s film Chappaquiddick is no masterpiece and is quite slow moving, it nevertheless remains a fascinating account of one of the Kennedy’s lesser known political scandals. This involved Senator Edward Kennedy, superbly played by Australian actor Jason Clarke (Zero Dark Thirty, The Great Gatsby), who was the fourth son of the Kennedy clan and the only surviving son after his three older brothers died successively. Chappaquiddick takes place in Martha’s Vineyard in the summer of 1969, two days before American astronaut Neil Armstrong successfully landed on the moon. Edward Kennedy and his cousin Joseph Gargan played by The Hangover star Ed Helms host a small decadent party on Chappaquiddick an island off Martha’s Vineyard in Massachusetts. Among the guests is Mary Jo Kepechne played by former House of Cards star Kate Mara who gets fatally entangled with Senator Edward Kennedy. As the evening progresses Edward and Mary Jo go on a moonlight drive around the island but this romantic venture turns into tragedy when after becoming intoxicated Edward unknowingly drives the car off a low bridge and it plunges into a river and he escapes the accident unscathed, while poor Mary Jo gets trapped in the drowning automobile and dies. The worst part is that Edward Kennedy walked away from the scene of a fatal accident and then later tried to cover it up using his family’s considerable political influence. Chappaquiddick deals with the aftermath of the tragic event and the engulfing political scandal it could have for the ambitious Senator Edward Kennedy who is desperate to follow in his two older brothers’ political careers with JFK becoming US president and Robert Kennedy becoming a US senator, both of whom got assassinated during the turbulent 1960’s. 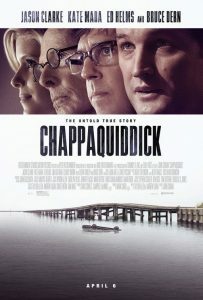 What makes Chappaquiddick so fascinating is the way in which Edward Kennedy, with a cool emotional detachment and often seeking advice from his wheelchair bound father Joseph Kennedy, wonderfully played by veteran actor and Oscar nominee Bruce Dern (Nebraska) whose only word of wisdom is alibi. The patriarch of the powerful political dynasty which is the Kennedys, based at their family compound in Hyannis port, Massachusetts, is determined to protect the Kennedy legacy, despite numerous tragic events and subsequent scandals. Chappaquiddick is a riveting historical drama about a political scandal which literally gets eclipsed by the men landing on the moon on the same weekend. As compared to Jackie, Chappaquiddick lacks grandiosity and elegance, but remains relevant as to how political scandals are essentially covered up and the flow of information is conspicuously controlled. 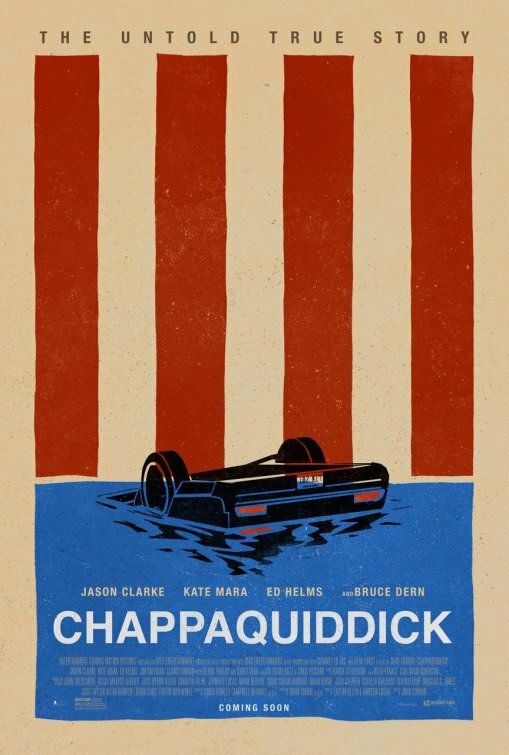 Recommended for viewers that enjoy American historical films, Chappaquiddick gets a film rating of 7 out of 10. My only criticism is that sections of the film could have been edited to avoid repetition and the script required insightful dialogue. This beautiful film gorgeously directed by John Curran and based on the novel by W. Somerset Maugham is set in China in the 1920’s is a sumptuous tale of seduction and salvation told with an ironic eye about a young woman who marries a micro-biologist and bacterial specialist featuring superb performances by Naomi Watts and Edward Norton. The young scientist needs a wife and the young woman needs to escape the confines of her suburban Chelsea family. Initially the young couple live in the exotic city of Shanghai and then due to an indiscretion on the wife’s part, as punishment the Doctor takes her to a cholera infected village in rural China, where she learns with humility about atonement and the true sacrifice involved in staying married at whatever the cost. 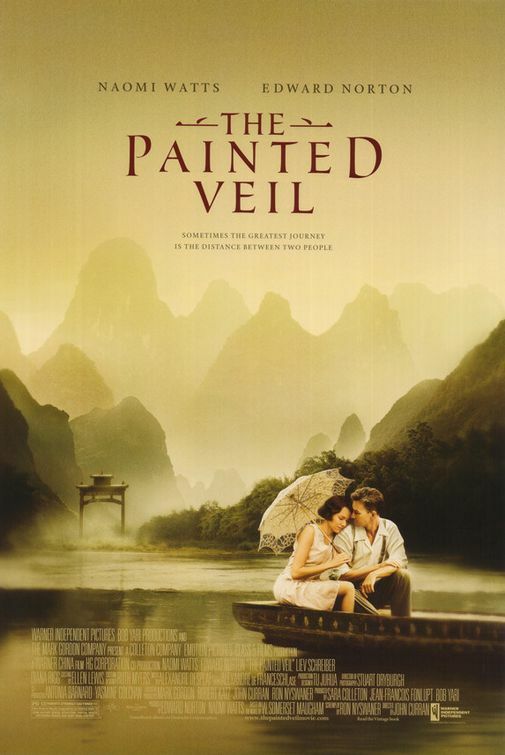 The Painted Veil is shot in gorgeous colours making the most of the dramatic Chinese landscape and with a beautiful score by Alexandre Desplat (who was hailed for his original music for the Oscar winning Stephen Frears film, The Queen.) and consequently won a Golden Globe award for Best Original Score for this film. Most notable is the strong performances by the two leading actors, both entirely underrated, Edward Norton playing the brutal and slightly calculating doctor who learns to treat his wife as more than a personal assistant, and Naomi Watts who plays Kitty the naive young Englishwoman who finds salvation in the most unlikely locations and with the assistance of Mother Superior, a wonderful cameo by Diana Rigg. This 2006 film surely did not get all the praise it was worth upon release but will remain an undiscovered cinematic gem. The Hollywood Foreign Press described The Painted Veil as one of the most beautiful films ever made. The cinematography and the mesmerizing music by Alexandre Desplat withstanding, this film is well worth watching and could easily be considered a 21st century classic.